This valley, which stretches from Union Gap to the western edge of Richland, is home to more 13,000 acres of vineyards and 60 wineries. The Pacific Northwest's first American Viticultural Area was the Yakima Valley, approved by the federal government in 1983. Since then, several AVAs have been carved out of the Yakima Valley - Red Mountain (2001), Rattlesnake Hills (2008) and Snipes Mountain (2009). Walter Clore, "the father of Washington Wine," lived and conducted much of his research here. His life is now celebrated at the Walter Clore Wine and Culinary Center in Prosser. William Bridgman, two-time mayor of Sunnyside, planted grapes here in 1914. 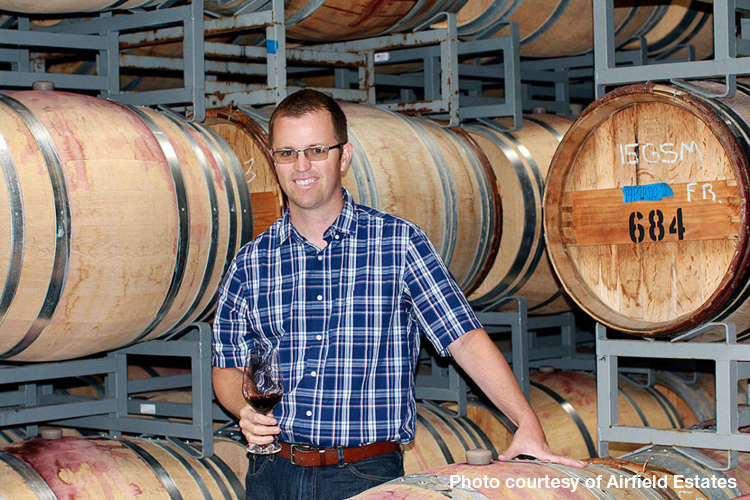 He started Upland Winery after repeal of Prohibition, and it operated into the 1960s. If you know where to look, you can find his concrete fermentation tanks. The oldest cabernet sauvignon vines in the Pacific Northwest are at Otis Vineyard, north of Grandview, planted in 1956. In 1986, the first syrah planted in Washington went in the ground at Red Willow Vineyard. Chateau Ste. Michelle, Washington's largest and oldest winery, established its original winemaking facility in the town of Grandview. Follow the link below for several wines made from Yakima Valley grapes that we've tasted recently.